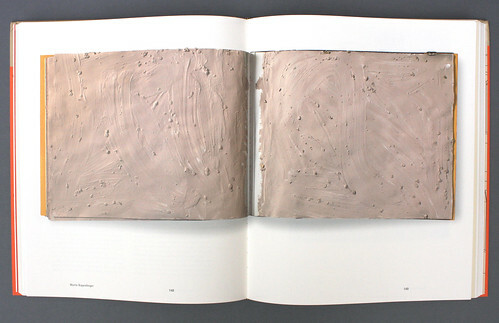 A new survey examines the shifting role of the printed book in fine art practice. It is not a book that simply contains artworks, nor is it a book made by an artist; rather it is an artwork in book form or, vice versa, a book which is itself art. At least this is the definition given by Artists Who Make Books, itself a large, hardback book of more than 330 glossy pages, filled with examples and imagery. Edited by Philip Aarons of Printed Matter, Andrew Roth of PPP Editions and artist and writer Claire Lehmann, there are further contributions by Benjamin Buchloh, Jeffrey Kastner and Lynda Morris. 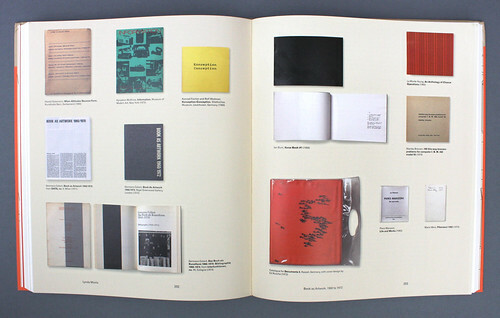 The book locates artists’ books as first appearing with the development of conceptual art in the 1960s-70s, as represented by artists such as Andy Warhol and Marcel Broodthaers (both featured). This coincided with the development of new technologies in design and reproduction, resulting in utopian readings of mass media. Producing books would allow artists to reach audiences at low prices. Lucy Lippard is quoted as having wanted to see artists’ books ‘ensconced in supermarkets, drugstores, and airports’. 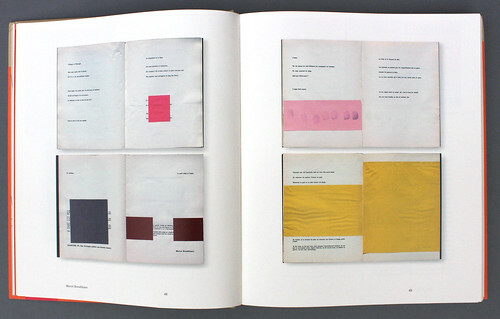 A spread showing numerous artist’s books produced in the 1960s and 70s from Lynda Morris’ essay: ‘Book as Artwork, 1960 to 1972’. 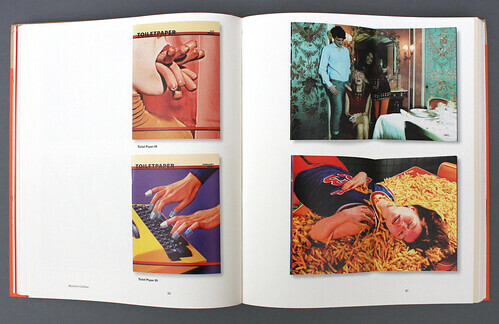 Top: A spread showing Marcel Broodthaers’ Pense-Bête (Reminder, 1964). Following an introductory essay by Lehmann, the book moves through a series of pages on each artist’s work, punctuated by further essays and interviews with Tauba Auerbach and publisher Walther König among others. There are many recognisable names: Ed Ruscha, Richard Prince, Dieter Roth and Wolfgang Tillmans, as well as several standout examples: Maurizio Cattelan’s wordless Toilet Paper (2010-present); Sophie Calle’s photobook Les Dormeurs (1979); John Baldessari’s wirebound Brutus Killed Caesar (1976); and Tauba Auerbach’s RGB Colorspace Atlas (2011), which maps out every possible colour produced by the combination of red, green, and blue across the pages of a cube-shaped book. But it is important to note the underrepresentation of women artists in the volume: of the 31 entries, besides those above, only Hanne Darboven, Annette Messager and Taryn Simon feature. A spread showing Maurizio Cattelan’s Toilet Paper 06 and Toilet 09. The book resists defining a chronology of development. The entries are ordered alphabetically, so that it instead describes specific instances, and prescribes the general limits, of what could be called an artist’s book. One of the few developments that the book touches on is that of the movement away from the egalitarian ideals of the 1970s. The artist’s book, at the hands of book dealers, now finds itself resembling the artwork – expensive, limited, exclusive. König recalls that artists used to overstate the edition numbers to emphasise their disdain for exclusivity, now the opposite is true. Those hopes and aims once held by artists have been displaced by the artworld, now enraptured by biennials, fairs, and sales – a vacancy has opened up. An inside spread of Martin Kippenberger’s Was könnt Ihr dafür?, 1986. At the same time rapid technological changes, changing social mores, and economic concerns – a set of issues similar to those that drove conceptual artists to turn to books – have reproduced similar hopes and aims, similar acts of experimentation, and a similar desire for the mass market in what is now called small press and independent publishing. The algorithmic cover for Eye 94 is one example; so, too, is the redesigned Mushpit. Real Review is a publication that seeks both an intellectual legacy as well as popular appeal. These are only a few of the publications that could be described as taking up the place of the artist’s book. Each, unlike artists’ books, is relatively cheap, involves artists and creative practitioners closely in the production, is concerned with the legacy and political impact of publication, and holds aspirations to be seen in print, in public, and in stores. Lippard’s dream of an art book in every hand might still be realised.